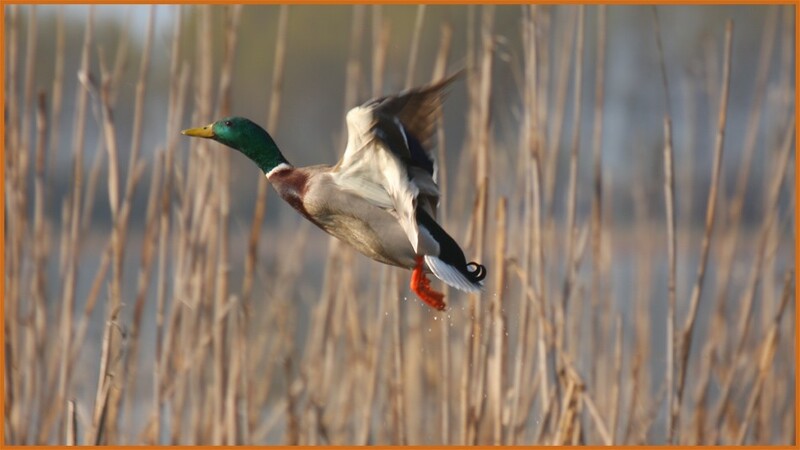 You’ll be duck hunting 8000 acres of prime farmland in the heart of the Mississippi Flyway. You can also opt for a Quail combo hunt. 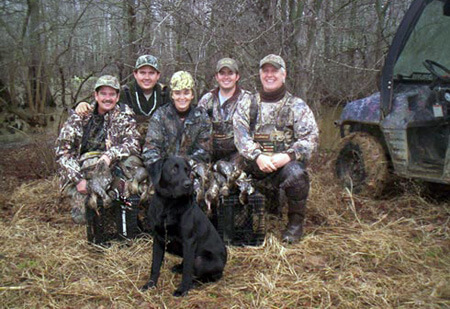 If you’re a deer hunter looking for big buck hunting action, don’t be fooled by our passion for duck hunting. We are in Big Buck Country. We offer true online reservations through our real time system here on the site. Gift Certificates are also available. 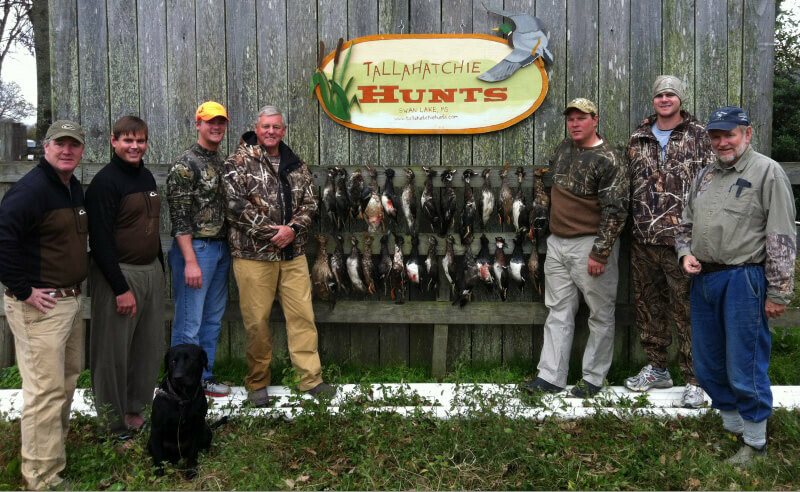 Tallahatchie Hunts offers guided duck and deer hunting on private lands in Tallahatchie County Mississippi. There are several public and private game preserves that serve as resting areas that help us maintain large populations of waterfowl throughout the winter months. The Tallahatchie, Coldwater, and Yocona Rivers all come together in Tallahatchie County and drain the northwest Mississippi reservoirs of Sardis, Enid, and Arkabutla. Backwater flooding is common during the winter months on these Mississippi Delta lands and most of our hunting is done on acreage adjoining these rivers. The deer population of our county has exploded since 1991. 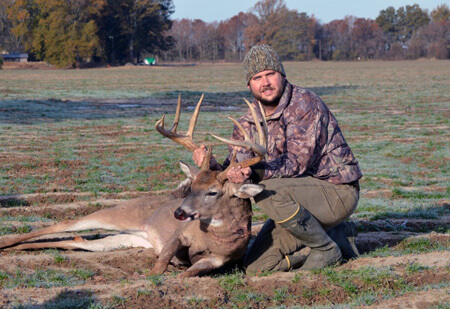 There are many large whitetails roaming in the field and the timber. Every year, record-book bucks are harvested here. 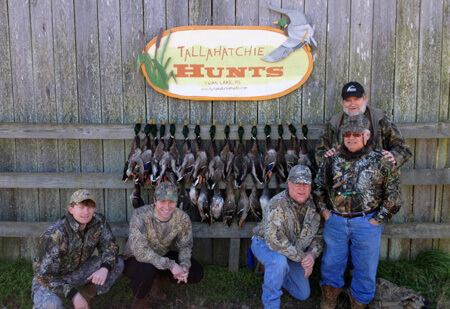 One of the most experienced guides in the Mississippi Delta, Mike “Catfish” Flautt has been hunting this area for over fifty years. Season after season, Catfish’s clients can attest to his almost perfect success rate, as he does not hunt the heated pit blinds of deserted fields, but hunts “where the ducks are” everyday of the season, no matter what the weather brings.